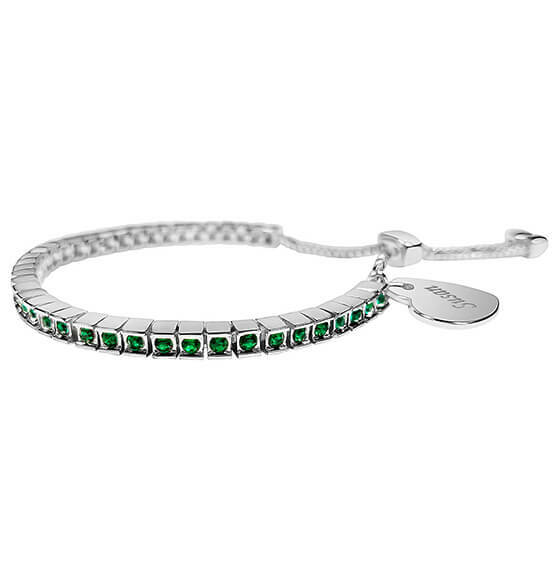 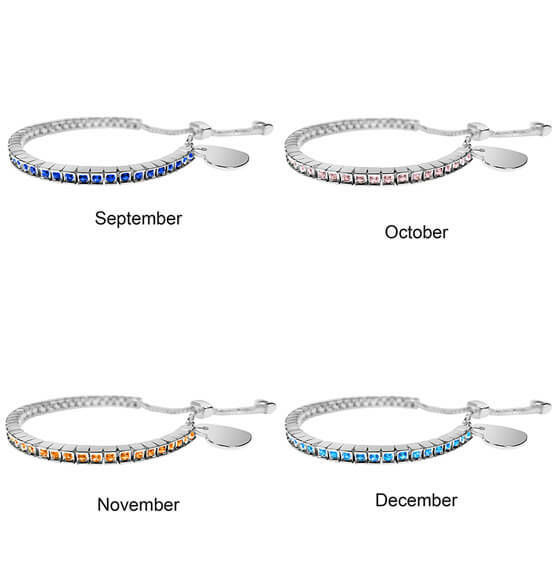 You'll be proud to wear this elegant, Personalized Birthstone Crystal Slide Bracelet. 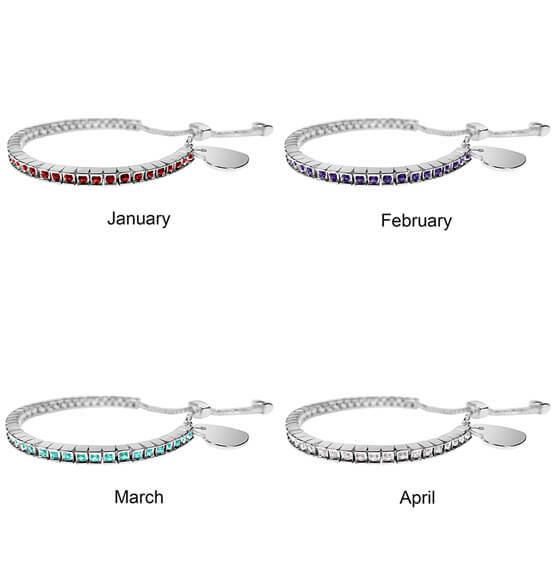 From its row of colorful birthstones to its personalized heart charm, you can make it truly your own. 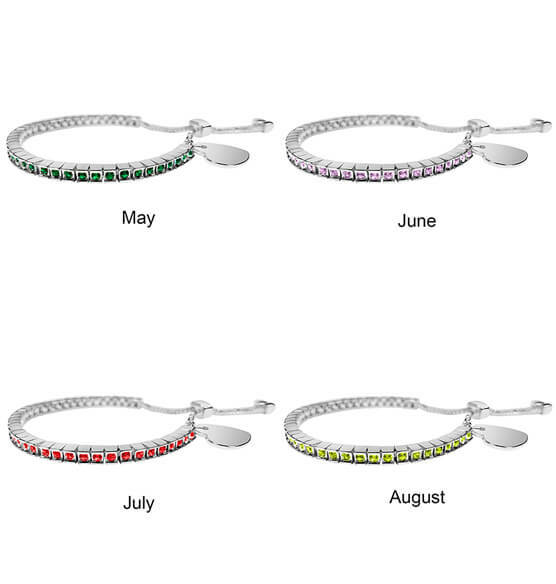 Specify month and name.